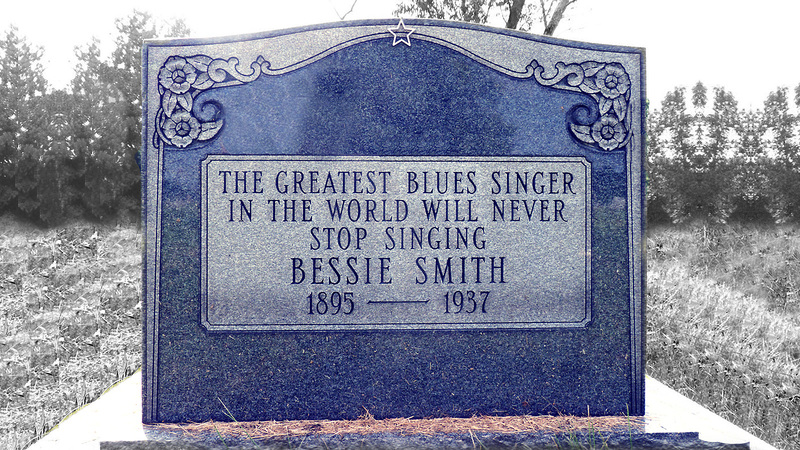 Bessie Smith, whose incredible renditions of the blues still echo through the annals of music in the ears and voices of living artists, died in a car accident on Highway 61 outside Clarksdale, Mississippi. 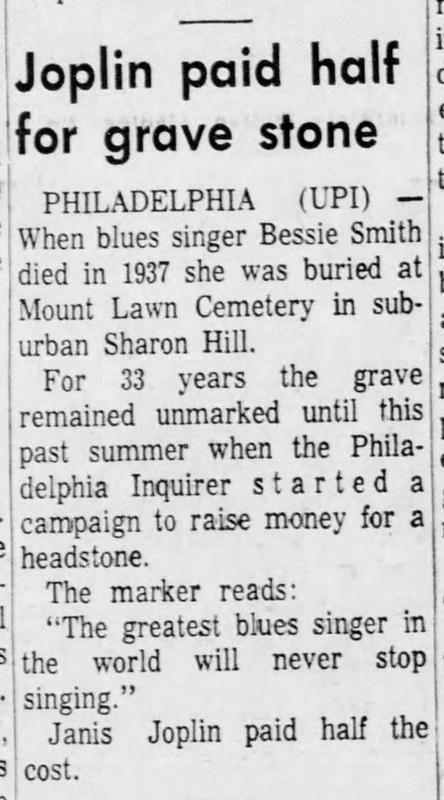 She was buried Philadelphia, Pennsylvania at Mount Lawn Cemetery in October 1937. 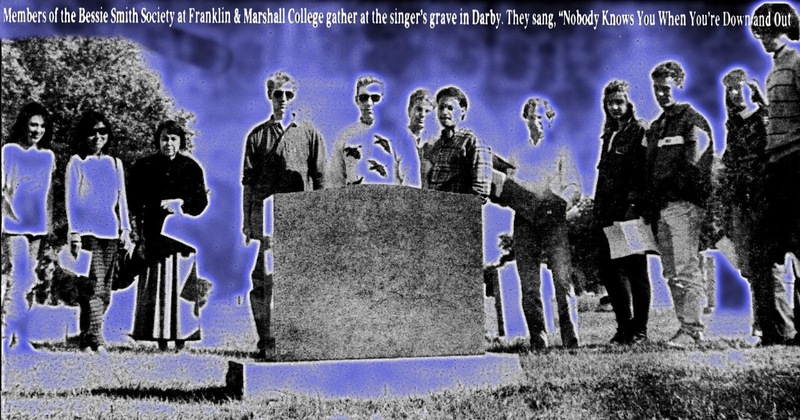 Though 30,000 people attended her massive funeral, only blades of grass marked her grave for thirty-three years, because her family didn't have enough money to buy a tombstone. 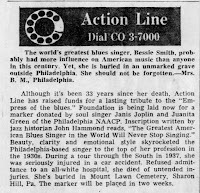 In July 1970, a local woman, Barbara Muldrow, called The Philadelphia Inquirer’s Action Line after reading a couple of articles about the blues singer in the newspaper. 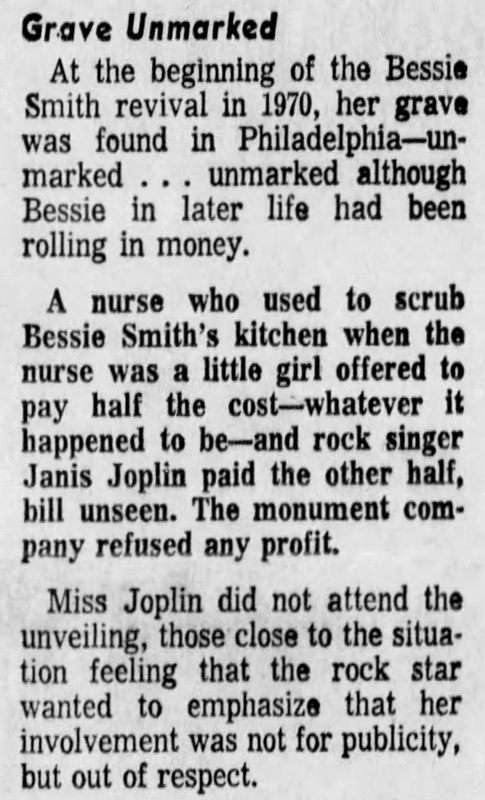 “I knew she never had a gravestone,” Muldrow informed, and “I was disturbed at a person of her status going unnoticed.” Action Line subsequently solicited donations for the tombstone from rock singer Janis Joplin and Juanita Green, a registered nurse who met Bessie at the old Lincoln Theater at Broad and Lombard streets in the 1930s. Each of the donors covered half of the costs. 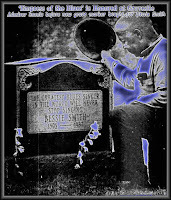 Now a leader in the Philadelphia chapter of the NAACP, Green had once performed at the theater in a talent show, after which Bessie Smith advised that she stay in school, "because you can't carry a note.” Green considered the recording artist "an expert [and] the type you didn't get angry with, you just listened to." She took her advice and stayed in school. An estimated fifty people turned out at the cemetery for an unveiling of a grey-black stone on Grave No. 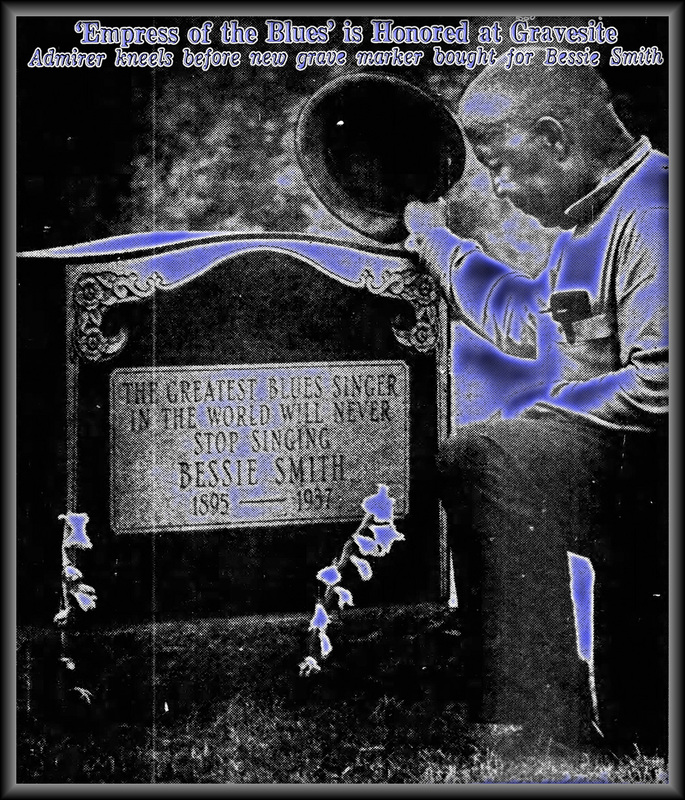 3, Range 12, Lot 20, Section C. The stone's inscription contained the words, "The Greatest American Blues Singer Will Never Stop Singing," which was composed by jazz historian John Hammond, who, as a young recording engineer with Columbia Studios, did a record session with Bessie Smith. Hammond and Green both attended the service, as did John T. Brown Jr., her accompanist during the last five years of her life. She was a big talent—but not so big when she started singing in a minstrel show in Chattanooga, Tenn., at age 13. 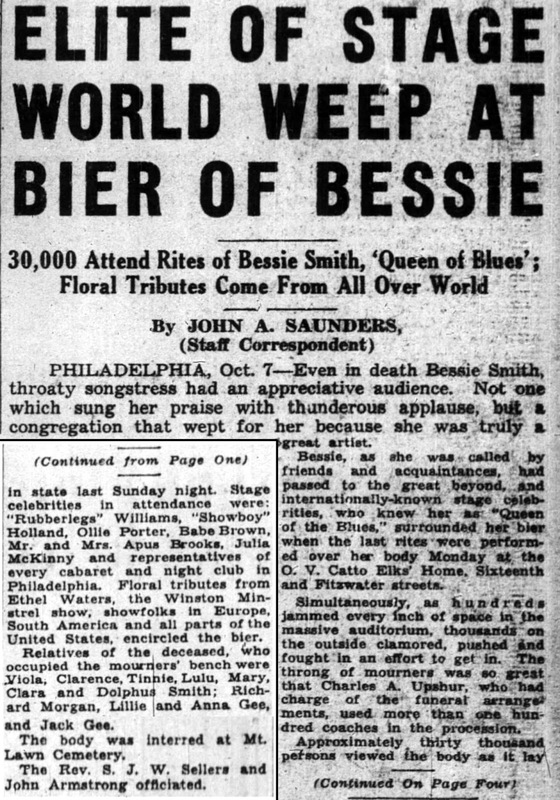 Her first big break in show business came in 1917 when she played the Paradise Club in Atlantic City, afterward hitting Philadelphia for the first time in a club known as the Madhouse at 11th and Poplar. She settled here in 1918. 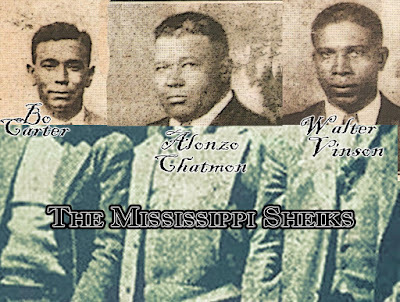 On Feb. 27, 1923, she cut her first recording, “Down-hearted Blues,” and it was a smash hit. By the end of the first year as a recording artist, Bessie had sold more than 2 million records. 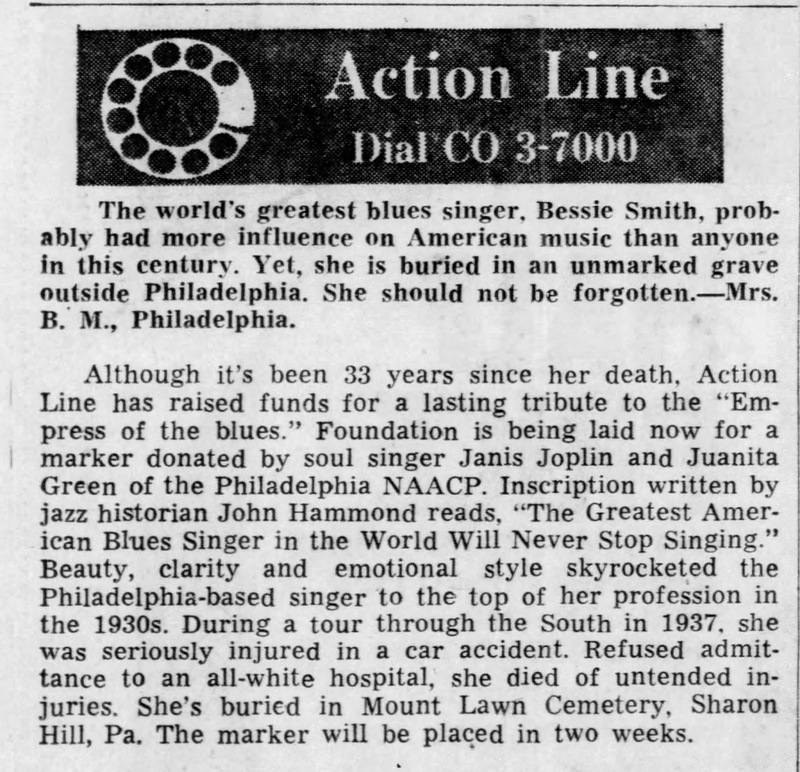 Her career skyrocketed in the 20s when she reportedly was earning $2500 a week and recording such songs as "Gimme a Pigfoot," "Nobody Knows You" and "Money Blues."